Below are the new features, system enhancements, and bug fixes for v8.2. As always, if you have any questions about a feature, please contact your Implementation Manager or Customer Support. 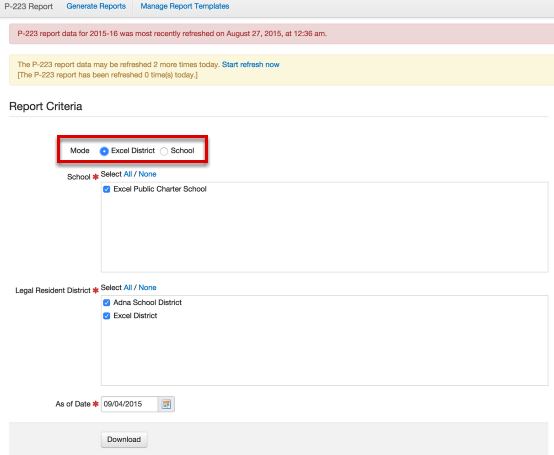 [Enhancement] Gradebook Report Card linking is now easier with the 'Filter Report Cards' field. This defaults to the current Grading Period. No more searching through a giant list of Report Cards! [Enhancement] Power Law has been added as a calculation for Standards Based Report Cards. [New Feature] Hybrid Assessments- In our secret laboratory we crossed a paper assessment with an online assessment and we got a hybrid assessment! This feature allows users to upload a PDF, Word document, or PowerPoint to the system, and students can SEE it online alongside the answer key you've set up for it. No more having a paper copy on the desk to read while they use an online answer key and no more killing trees! For more information on this feature, see the help document 'Creating a Hybrid Assessment'. 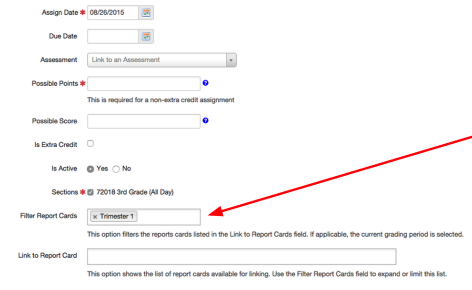 [New Feature] Assessment Review- When enabled, this will show students their assessment results with feedback! For more information on this feature, see the help document 'Enable Assessment for Online Testing'. [Enhancement] Wait, you actually want to run reports on data collected from surveys? 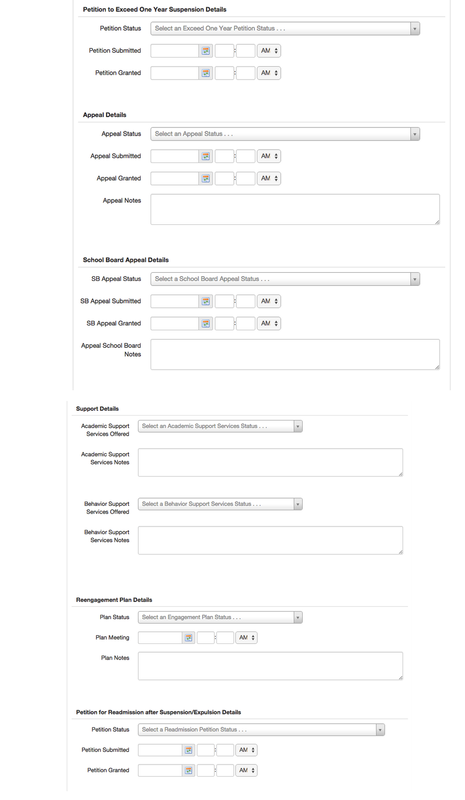 Well, now you can, survey meta data is now available for Custom Reports. 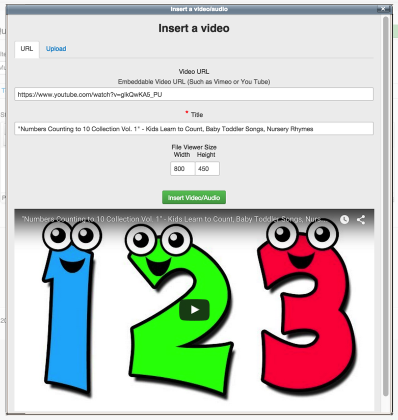 [Enhancement] Itembank video embedding- Now, once you copy/paste the Youtube URL, you get to see an instant video preview! [Enhancement] Typing an essay into a small box is a thing of the past! Students can yammer on until their heart is content with full screen entry for Constructed Response answers. [Enhancement] Quick Link to Standards Page- You can now click directly on 'Link Standards' to be taken to the linking page. 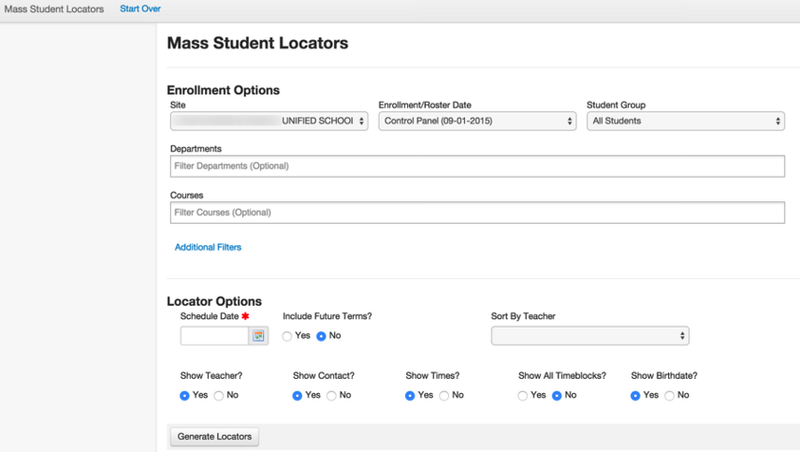 [Enhancement] Mass Student Locators has been updated to use the Student Search scope selector for greater flexibility! Hoorah! For more information on this feature, see the help document 'Student Locators (Schedule Cards)'. 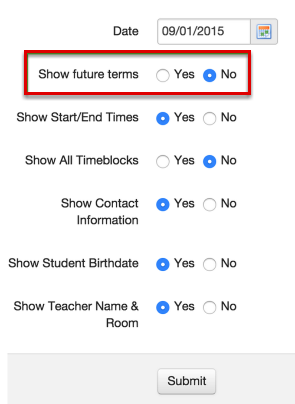 [Enhancement] Student Locators also now has a new "Include future terms" option. [Enhancement] Behavior- Added the field "Consequence Duration Override" to the Behavior Form Letter layout. [Enhancement] New Behavior Fields for Expanded Support of CEDARS. 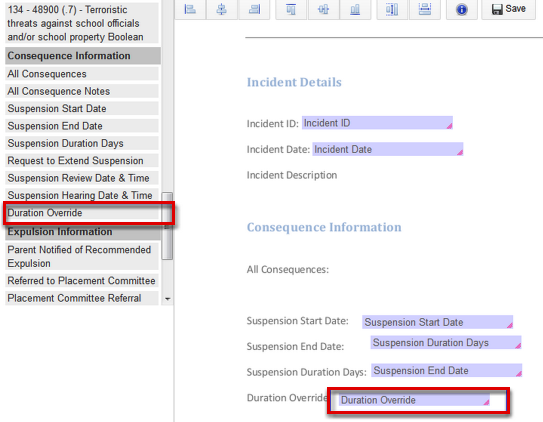 [Fix] When the required field "Short Description" is missing, there is no warning that the Supervisor field was missing as well. This issue has been resolved and will now warn. [Enhancement] P223 Attendance Report- Previously this report combined District and School data and it was hard to tell exactly what it was generating. There is now School mode and District mode! [Enhancement] Custom Reports/Meta Data- LA now has meta data (SER).